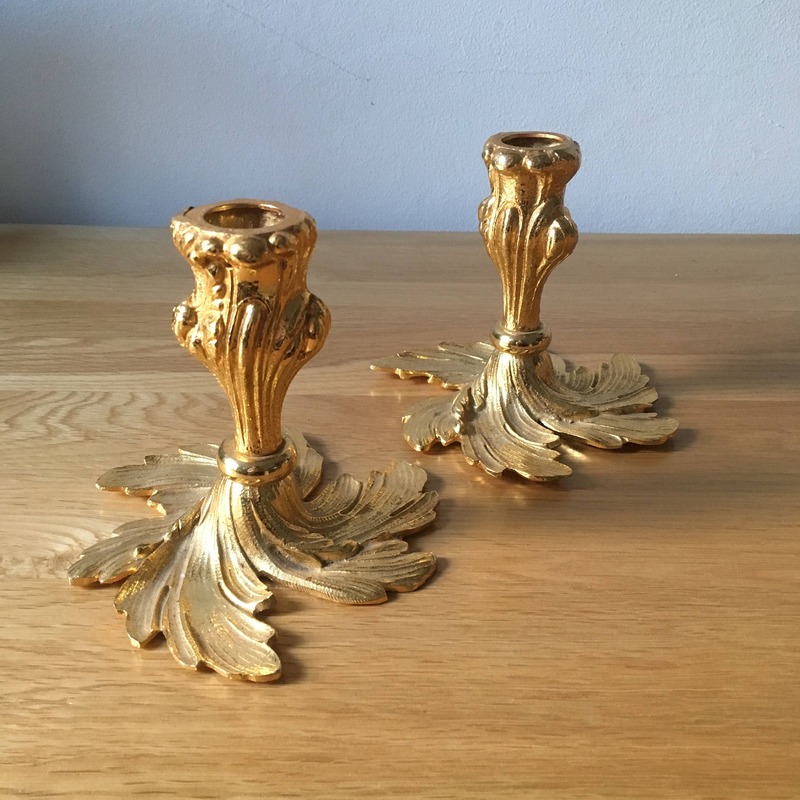 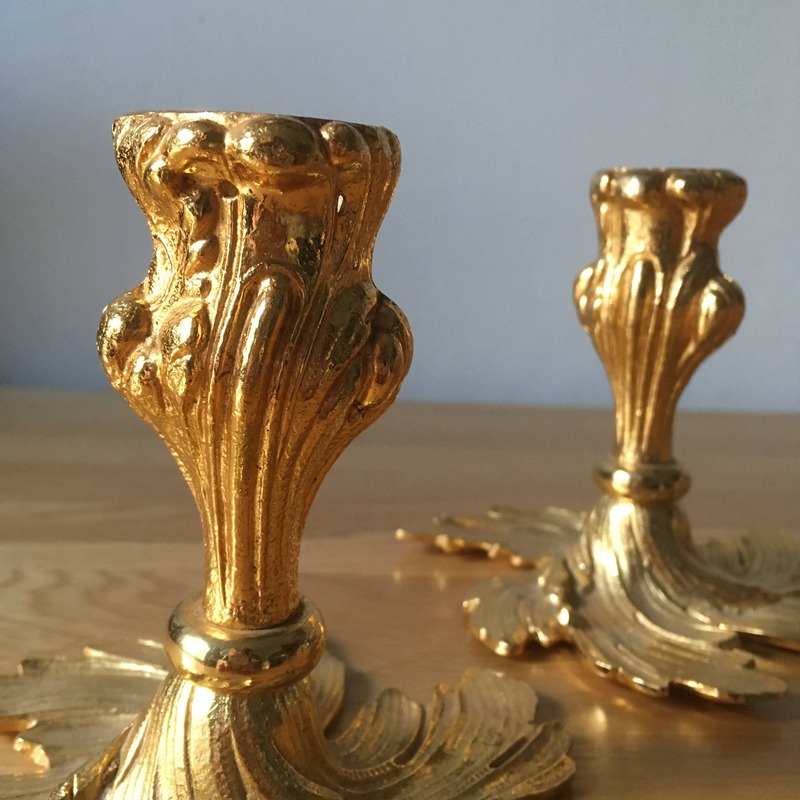 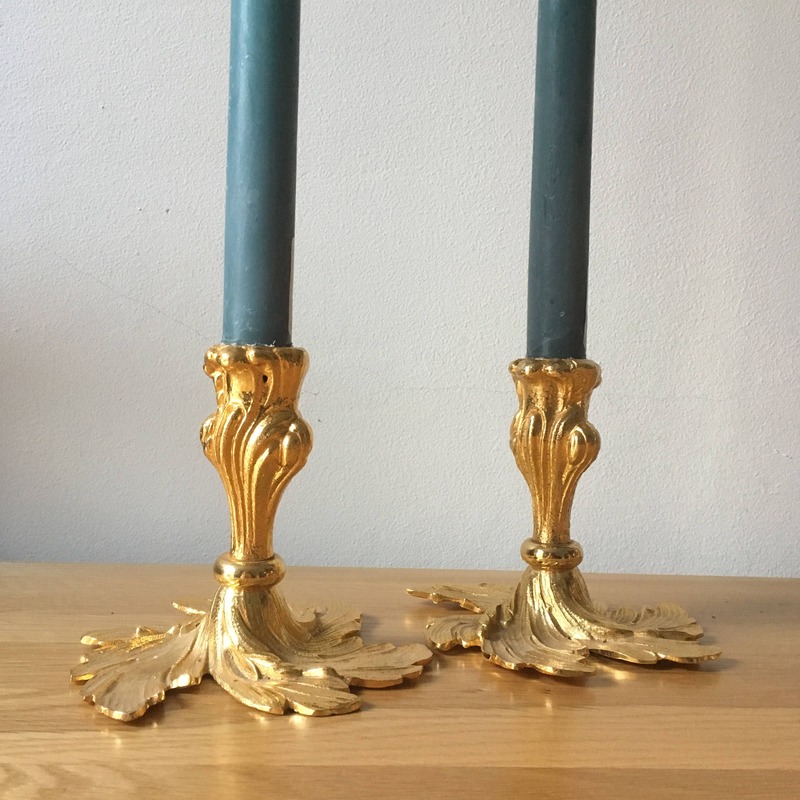 Pair of stunning, gold coloured/gilt candlesticks. 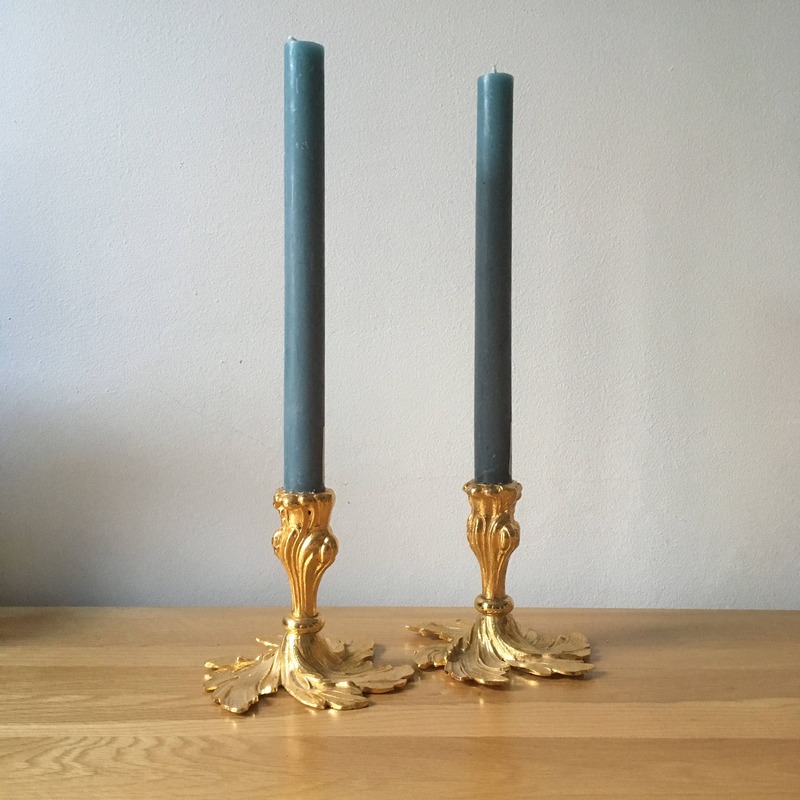 The perfect items to grace your dinner table, or indeed any other room in your home! 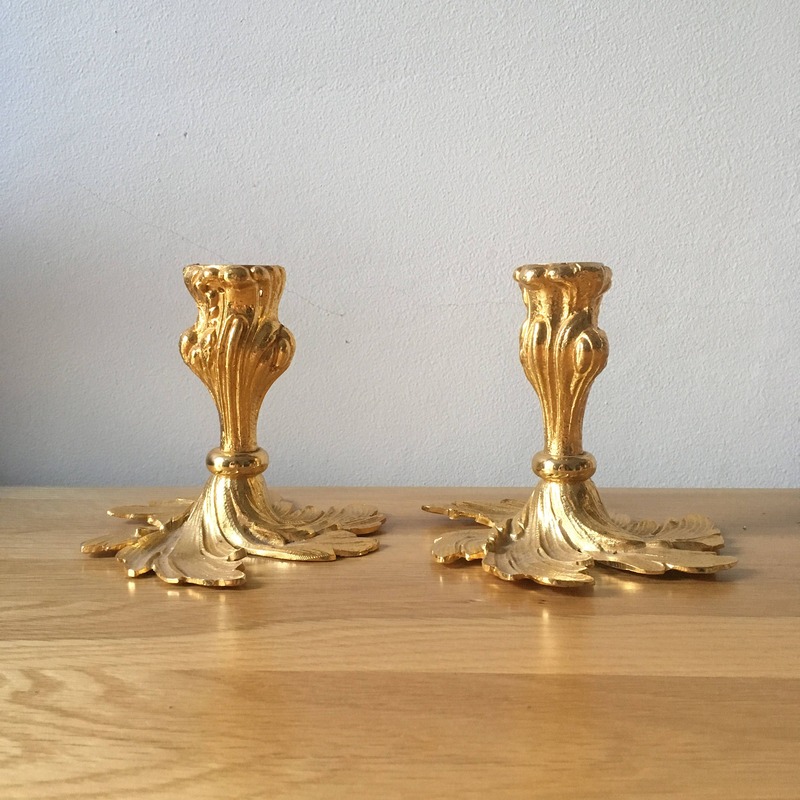 We think they would look amazing on a mantelpiece too - the design lends itself well to a pairing with Sunburst mirrors, but would also look great alongside more modern pieces in any metallic shade.